Premier Li said the Shanghai FTZ should act as the pioneer in opening up and deepening reforms while visiting Shanghai E&P International on Nov 22. Premier Li Keqiang paid a visit to the headquarter and the R&D headquarter of GE China in Shanghai on Nov 21. As the Shanghai Free Trade Zone hit its three year mark, Premier Li Keqiang on Nov 21 visited the free trade zone for the third time in three years. Premier Li Keqiang held a symposium on administrative streamlining, combining power delegation with strengthening regulation and optimizing public services in Shanghai on Nov 21. 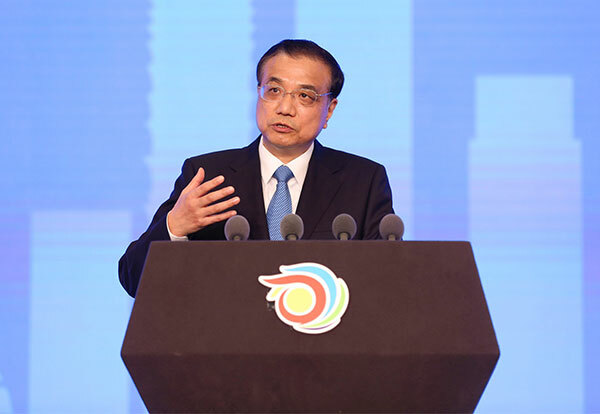 Speaking at a global health conference in Shanghai, Premier Li called for more international cooperation in improving health. The Chinese government will put healthcare at the top of its agenda and continue to promote reform in the medical and healthcare system.